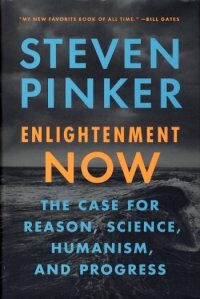 Pinker takes on the sources of cynicism and dread. Are humans inherently irrational? Do we need religion to ground morality? Has modernity just left us lonely and suicidal? Do we live in a "post-truth era"? An "age of terror"? And will it all come crashing down in an apocalypse of nuclear war, resource shortages, climate change, and runaway artificial intelligence? This book can be sent by mail anywhere in North America. Please contact us by email or by phone to arrange shipment.